In case you are living in a European Union country, or just possess Euros, you might be interested in buying BTC for EUR at the best conditions. Thus, it should be easy, fast, and cheap. Considering that you are going to entrust your money, it is highly crucial to find a reliable exchange with reputable history. Having operated since 2013, CEX.IO merges services stability and user-friendliness, allowing you to buy Bitcoin for Euro using various payment options. CEX.IO offers several options to fund account and buy Bitcoin for Euro, namely deposits using payment cards, via bank transfer, Skrill or SEPA. If you are used to buying goods and services online, then you may know that the fastest and easiest way to do it is to use your credit card. The same story here. 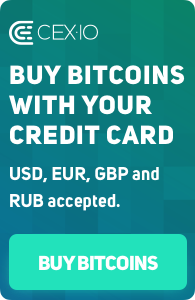 At CEX.IO, you can easily buy Bitcoins using your ordinary Visa/MasterCard. To do so, you need to link your card to CEX.IO account by providing standard data like card number, expiry date and others, and proving your ownership of the card. Linking a card is absolutely easy, and this short procedure is needed only once. The same card can be later used to withdraw funds. Note that even though your card is more likely in Euros, you can also use Visa/MasterCard issued in any other currency. SEPA is a European Union initiative that integrates payment systems. It enables users to make cashless Euro payments using a single bank account. With this feature, CEX.IO customers benefit from low costs and fast processing. To make a SEPA payment, a user needs an IBAN number to identify the bank and personal account (other details are pulled via system: bank, accounts, name, etc.). Once a successful withdrawal via SWIFT is made, SEPA payment option is unblocked for the respective user. Another option to fund account on CEX.IO and withdraw earnings is Skrill, which is an online bank transfer. Users from Austria, France, Germany, Italy and Spain are able to make cheap deposits and withdrawals. Here’s how it works on CEX.IO: choose an online bank transfer option, select your bank from the list. Thereafter, you will be redirected to your bank’s payment interface, in which you will complete and confirm the payment. As soon as your CEX.IO account is funded using any of the above mentioned methods, you can easily buy Bitcoin for Euro via simplified interface. 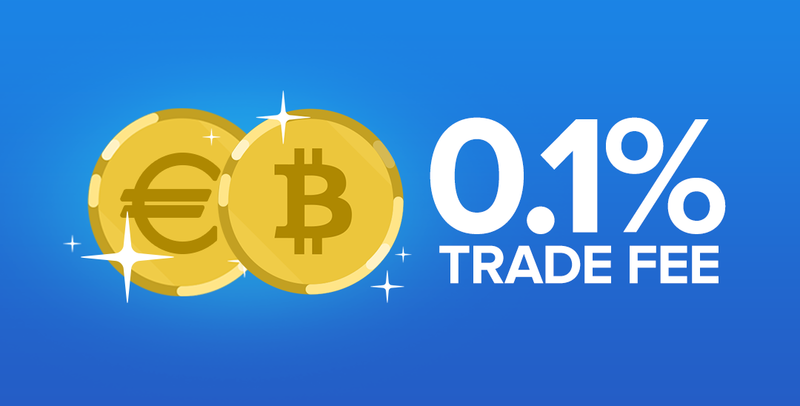 Although BTC/USD is the most popular currency pair on the Bitcoin market, CEX.IO makes sure to support other markets, such as BTC/EUR, LTC/EUR, ETH/BTC and others, by decreasing trade fees and creating better trade conditions. Recently, CEX.IO has lowered fees down to zero on cryptocurrency pairs — LTC/BTC, ETH/BTC, and halved fee on EUR and RUB markets. This means that you can trade BTC/EUR with only 0.1% commission right on the website, using CEX.IO official mobile app and several API solutions.